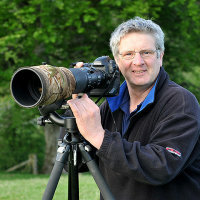 Welcome to the home of Gordon Rae Photography. To keep this section brief is easy, Gordon is simply just Camera mad. He is a much sought after Freelance Commercial Photographer, an award winning Landscape Photographer, and a multi award winning Wildlife Photographer. His aim is simple, to produce clean tidy images that fit the brief for his Commercial work, all the way through to the high impact images that he produces from his Wildlife Photography. It is hoped that you enjoy looking through the website, most of the work you see is available to purchase from the site, this you can do by clicking on the drop down table, select the image size of your choice, the site will then direct you through the checkout page to paypal. Any other requests, please do get in touch via the contact section.